Can Blockchain Revolutionise Patient Health Records? The debate about where patient records are stored, how they are accessed, and how they might be used often becomes both adversarial and emotive, and rightly so. After all, it’s your data; and it’s likely your most private and personal data at that. The government’s care.data vision is a case in point. The idea was that hospital episode statistics, GP information and all kinds of other data drawn from medical records across England would be centrally stored in a single database. However, in practice it raised a torrent of resistance from those with genuine concerns about the security of the data and who would be granted access once it left the hospital or the GP surgery. Oh, and it never got to grips with the question of whether patients needed to opt-in or opt-out of the programme. Valid arguments from patient groups, privacy groups and equally valid arguments from government representatives seemed to create a stalemate which, not surprisingly, resulted in public distrust of the scheme. But let’s step down from the soap boxes for a moment and consider whether there could actually be a better way to provide technical assurance, security and robust management of Electronic Patient Records (EPR) and other health records, a method that could genuinely change the way data is managed and accessed by healthcare professionals and in fact keep the current decentralised model. So I’d like to invite on stage, to rapturous applause, the remarkable concept of Blockchain as used by the crypto-currency BitCoin. For those not yet in the know, a Blockchain is a permissionless distributed database that maintains a continuously growing list of transactional data records, essentially a ledger, that is hardened against tampering and revision and provides an immutable record of changes. Sounds perfect for handling health records doesn’t it. The notion of using Blockchain technology for EPR’s and for other record keeping purposes, has been around for a while; however, only recently are we seeing real-world examples and proof-of-concepts. 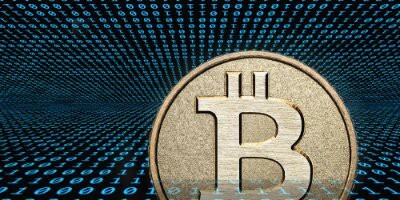 The newly respectable status of the technology behind a peer-to-peer cash system once associated with the Silk Road and the ‘dark net’ was confirmed this week, when the government’s chief scientific officer, Sir Mark Walport, put out a report calling for government investment in the idea. Ironically, the report came out just as one of the developers closely associated with Bitcoin itself announced that he was quitting. But the government thinks the underlying technology could be revolutionary, and the NHS was named as one of the potential users. In the search for innovative ideas a Blockchain Hackathon, sponsored by Fidelity Investments, Deloitte and Citi, took place in November. The winner was MedVault who won €5,000 by demonstrating a proof-of-concept that would allow patients to record medical information on a Blockchain. Now there are some technical good-practises to adhere to as the Blockchain itself, by design, is kept as small as possible so any data held would essentially be metadata (data about data) rather than a full medical record and would sign-post a transaction to be applied to a record held elsewhere. This metadata would use a hash value in the Blockchain, demonstrating that the data exists and confirming the data integrity without revealing the actual data itself, which is a key requirement in the world of health records. This metadata technique is known as ‘coloured coin protocol’ as it was originally for use by crypto-currencies. The metadata could then be used to manipulate the actual patient record which would itself be stored in a decentralised way. The MedVault example mentioned suggests that P2P BitTorrent technologies could be a solution. 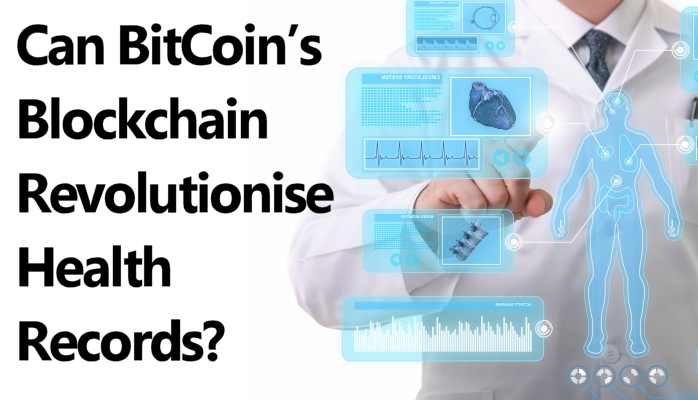 The Blockchain process remains encrypted; verifiable and immutable at all stages and would allow a health professional to access and update your patient record from anywhere in the world using your patient identifier or public encryption key or other unique key. On the subject of P2P hosting the physical patient record, a company called BitHealth is doing exactly that. They are using Blockchain technology for storing and securing healthcare data in a distributed way using peer-to-peer file sharing technology similar to BitTorrent. Another initiative is factom.org. Factom is a data layer for securing millions of real-time records in the Blockchain with a single hash to improve efficiency and prevent ‘bloating’ the Blockchain. Factom have partnered with Health Nautica to secure medical records and audit trails using the Blockchain. They envisage this will provide better efficiency for claims and billing and prevent fraud as the records cannot be altered. Technically the Blockchain method meets the HIPPA standard by protecting patient confidentiality and ensuring the actual medical records are not revealed to third parties, including Factom, nor transferred from their original location as they reside on Factom’s P2P service. Even big players like Philips Healthcare are rumoured to be getting in on the act by exploring the use of Blockchain technology for record keeping purposes. No doubt we will start to see more proof-of-concepts in 2016 from other major vendors. Technically it’s a great idea… honest. Like the Care.data vision, patient records managed by Blockchains is technically a great idea and in many respects creates an honest, unchangeable record that remains secure. However, adoption of such a radical approach that would de-centralise the data, no matter how encrypted and managed it would be, would likely meet with significant opposition from privacy groups, patient groups and would certainly be subject to public opinion who ultimately have the final say. But it must be said, it’s still a great idea that perhaps one day will revolutionise the EPR and health records industry.